I have listened to approximately 30 podcasts so far. In general, I find the discussions interesting. I have expecially enjoyed the ones that included guests that are very articulate and knowledgable. On the other hand, I'm still struggling getting used to Pilot Mike's tendency to dominate conversations (Pilot Kent stays generally quite....) and when this is combined with his chronic stuttering, I sometimes ask myself "Why doesn't Mike stop talking, gather his thoughts and let someone else talk?". On the positive side, Pilot Dan seems to consider what he says before saying it and is enjoyable to listen to. But all in all, I am going to continue listening to the podcast. i loved this podcast but they haven't released a new episode for 3 months. come back!!!! Nice Podcast, but where have you been lately? Guess you guys have been busy lately as the Podcasts are becoming few and far between. Just a question? Is there some reason you don't include last names, i.e. Pilot Dan, Pilot Kent and Pilot Mike? We promise we won't hunt you down or try to sue you guys. Don't let the CFIcast name fool you! Hanger Flying at it's best. Diverse yet topical, informative and interesting. I'm a middle aged gentleman and just started working towards my Private Pilot VFR license. My son got his ticket and I realized that flying wasn't just something to dream about, it was something I could do. This is my favorite podcast. I listen to each one over and over. Dan, Mike and Kent and their guests and are mentors at large to all aviation enthusiasts. These guys are really on to something. 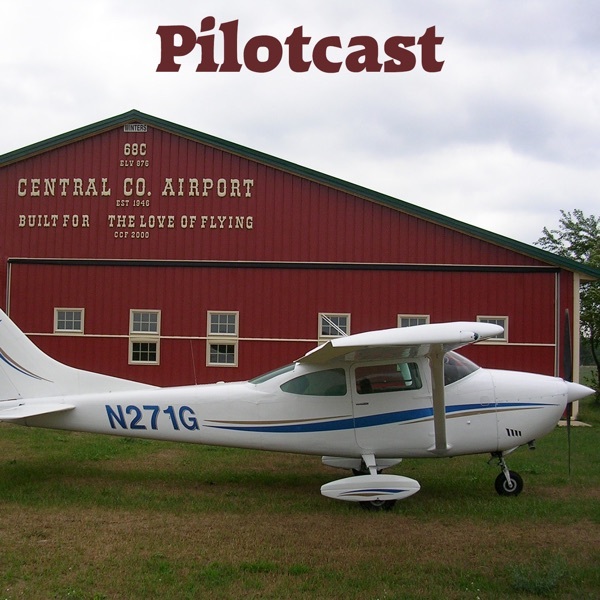 Pilotcast combines the informal atmosphere of a bunch of guys sitting around the hangar talking about flying with that sense of discovery of what's just over the horizon that makes GA so enjoyable. My favorite piece was the interview with the blimp pilot in one of the earlier episodes. That pilot sort of reminded me of one of those old riverboat captains that Mark Twain wrote about. It is obvious these guys have put considerable time and effort into this podcast. The result is an outstanding production of hangar flying that has focus on the grass roots of aviation. All pilots and future pilots should be aware of this rewarding and thought provoking show. This is a gem! Fly high and fast gentleman. I just started my pilot training a couple of month ago and found the BEST podcast on flying. Three GA buffs discuss everything about GA Current Events. If you're a pilot, this is a must-subscribe podcast! Pilotcast makes me "one of the guys"! This podcast really does as advertised, it make you feel like you are sitting in a hangar shootin' the bull about general aviation. I'm a student pilot and have really learned a great deal from listening to these guys. They have great guests that know their aviation and the hosts themselves have a lot to say about current events and history in aviation. Bravo Zulu Guys! Never missed an episode and never will. Its better than all the other aviation podcasts! Good content for me - 200+ PPL. If you can't be at the airport listening to some good hangar talk then this is the next best thing. Informative and entertaining! These guys put forth a lot of effort and bring a wealth of interesting material They are receptive to comments and criticism - it's the podcast for pilots, by pilots!